CARMEL, Ind., March 20, 2018 /PRNewswire/ -- Clinical Architecture, a software development company focusing on healthcare enterprise content management, announced today that it has expanded its offerings to include Symedical on FHIR™, a RESTful API based on the FHIR® Terminology Service standard. "The emerging FHIR standards represent an important step towards lowering the barriers between the systems we rely on to help us care for patients," said Charlie Harp, Chief Executive Officer of Clinical Architecture. "We are excited to make our Symedical product compatible with FHIR, giving our clients and partners another way to leverage our platform to provide access to high quality data." Clinical Architecture is the leading provider of innovative healthcare IT solutions focused on the quality and usability of clinical information. For more information, please visit www.clinicalarchitecture.com. Fast Healthcare Interoperability Resources (FHIR®), created by Health Level Seven International (HL7®), is an open standards framework for exchanging electronic health data while leveraging the latest web standards and maintaining a focus on interoperability. HL7® and FHIR® are registered trademarks of HL7 and are used with the permission of HL7. By adding Symedical on FHIR™ to its healthcare enterprise content management solutions, Clinical Architecture is broadening its already robust terminology management capabilities and taking another step in supporting healthcare solutions and vendors that need to use coded terminology without expending resources to become terminology experts themselves. To learn more about Symedical on FHIR™, please visit http://clinicalarchitecture.com/symedical-healthcare-terminology-management-software. Founded in 2007, by a team of healthcare and software professionals, Clinical Architecture is the leading provider of innovative healthcare IT solutions focused on the quality and usability of clinical information. Our healthcare data quality solutions comprehensively address industry gaps in content logistics, master data management, reference data management, data aggregation, clinical decision support, text analytics, semantic interoperability, and normalization. For more information, please visit www.clinicalarchitecture.com. HL7® and FHIR® are registered trademarks of HL7 and are used with the permission of HL7. 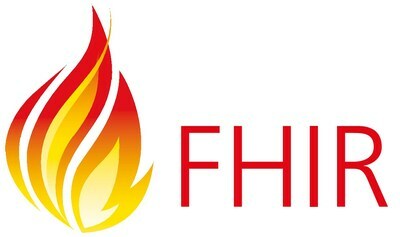 For more information, please visit www.fhir.org.